The first computer that I’ve bought was an IBM Personal Computer XT, based on the Intel 8086 processor. Then, I’ve built my first computer back in the 1990s. It was an x286 IBM AT compatible. 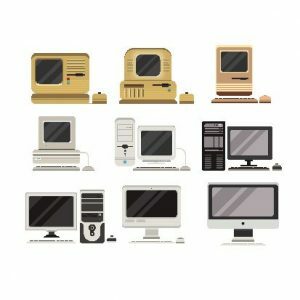 At that time retailers started to sell computer parts IBM compatible such as cases, motherboards, RAM, floppy disk drives, hard disk drives etc. Everything you needed to build a PC. I’m a computer enthusiast with over 25 years of experience in building, fixing and programming computers. I really enjoy helping others solve their PC related problems. I’ve assisted people and companies with recommendations for computer parts, upgrades, and accessories. The guides, reviews, and tips you’ll find on this site will help you build or upgrade a computer customized to your specific needs and budget. If you need help or have any questions, feel free to contact me and I will be more happy to help you out. We also have a Learn How to Build a Computer Facebook Page that you can “Like” to get an update when we publish articles.